Disolvits®: Finished product solution, which optimizes the delivery of commonly lipophilic active ingredients by enhancing their solubility and absorption. Ester-C®: Patented, scientifically proven, unique form of Vitamin C. Quick absorption and 24-hour retention in the immune system. EpiCor®: Patented and clinically researched whole food fermentate, shown to support the immune system, gut microbiota and better Gl function. Golden Omega: Pure, high quality, sustainable fish oil concentrates up to 70% DHA and EPA combined. GOtab: Golden Omega™ fish oil concentrates, optimized by Omegatri™ technology into a direct compressible powder for tablets. GlycOmega®: Greenshell mussel powder and rich source of glycosaminoglycans (GAGs), clinically researched and found to reduce joint pain and increase joint mobility. HAPLEX®Plus: A high purity, food grade Sodium Hyaluronate, scientifically backed up to demonstrate benefits on skin elasticity, degenerative osteoarthritis and osteoporosis. Longvida®: Scientifically researched Optimized Curcumin, able to deliver FREE curcumin (key phytochemical needed in the blood) thanks to the SLCP™ Technology. Naticol®: Fish collagen peptides, scientifically proven to reduce the appearance of wrinkles, fine lines, and dry skin. Nat-Ing®: Traditional botanical extracts manufactured under strict EU quality standards with full traceability. Geographical provenience and functional carriers lines (spelt or buckweed). OptiMSM®: A branded form of MSM manufactured in USA in a single-purpose production facility through a multi-stage distillation process for a 99.9% pure and consistent product. Pomella®: Pomegranate Extract standardized to punicalalgins proven to offer superior bioactivity and bioavailability in various antioxidant models. US Greens®: High quality whole-food green powders, grown and processed using special harvesting and manufacturing techniques to ensure their nutrient-dense profile. Vitafiber™ IMO: Natural, low-calorie sweetener and naturally rich in fiber. It is approved in Europe for nutritional bars, confectionary, bakery, chocolates, snacks, beverages and dairy applications. WokVel®: Patented Boswellia serrata extract standardized to boswellic acids, with full traceability and clinically proven benefits on joint health. XanMax®: Unique combination of free lutein with varying levels of zeaxanthin, manufactured from carefully selected marigold plants, with recent clinical evidence to support healthy macula. We have many other core ingredients, which are part of the Gee Lawson range of specialty raw materials, distributed by LEHVOSS in Europe. INGREDIENTS: Our range of ingredients includes botanicals, antioxidants, probiotics, carotenoids, natural vitamins and minerals, marine derived ingredients and more. INNOVATION: Innovation is in the spirit of everything we do. We offer ingredients and technologies, which optimize the main active ingredients across finished products. 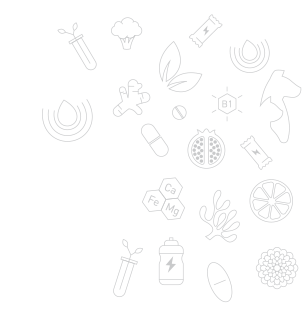 SCIENCE: We search and offer clinically researched branded ingredients with proven bioavailability, efficacy and benefits, where results, in many cases, are published in renowned scientific magazines worldwide. SOLUTIONS: We aim to deliver more than just ingredients. Our sales, technical, formulation and marketing teams are looking to find the most suitable solution to meet our customer’s needs.